This is a rustic, country themed wall decal that will be sure to please any farm loving folks! 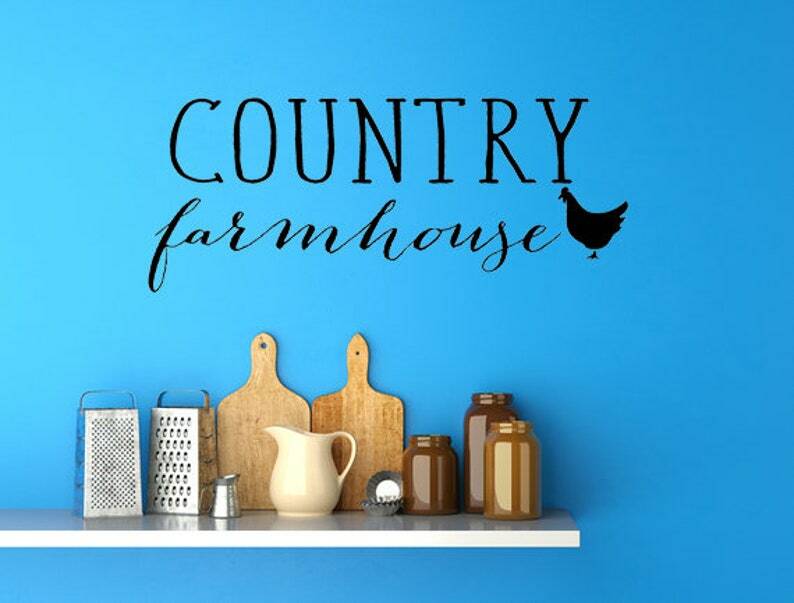 Our Country Farmhouse wall decal will make a beautiful addition to any room in your home. This decal measures approximately 27.75 inches wide by 11.25 inches in height.